The US Air Force has announced that an attempt to fly its hypersonic jet X-51A WaveRider at Mach 6 (3,600 mph; 5795 km/h) has failed. The unmanned aircraft had been designed to fly at six times the speed of sound after being dropped from a B-52 bomber. But officials said that a faulty control fin prevented it from starting its supersonic-combustion ramjet engine, and the craft was lost. It marks the second time in a row that the Air Force has been unable to test the technology as planned. The latest attempt had sought to fly at its maximum speed for five minutes. But a spokesman said that a problem was recognized 16 seconds after a rocket booster was triggered to increase its velocity, ahead of the scramjet engine being started. When the rocket unit detached 15 seconds later X-51A WaveRider lost control and broke apart, falling into the Pacific Ocean north-west of Los Angeles. “It is unfortunate that a problem with this subsystem caused a termination before we could light the scramjet engine,” Charlie Brink, of the Air Force Research Laboratory at the Wright-Patterson Air Force Base in Ohio, said in a statement. The previous test aircraft was also lost to the Pacific after it was unable to restart its engine. But the original test flight, in 2010, flew at five times the speed of sound for three minutes. 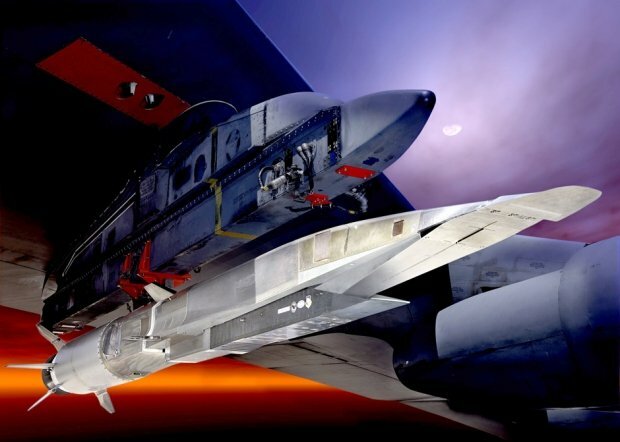 The Pentagon – which helped fund the project – has been testing hypersonic technologies in an effort to develop faster missiles. It has also been suggested the research could eventually help build a commercial plane with the promise of London to New York trips taking as little as an hour, or Tokyo to Paris journeys slightly more than double that time. For now only one X-51A vehicle remains and the Air Force has not yet decided whether to organize a fourth test.